A durable and easy clean plastic. 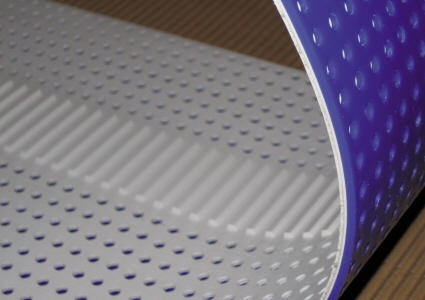 The thermoplastic properties allow for an embossed belt surface as well as welded accessories. 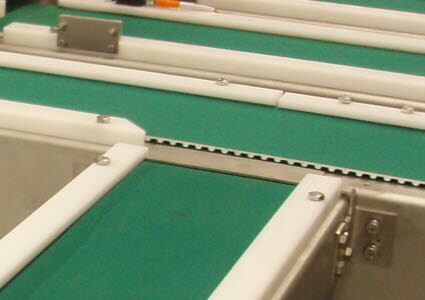 For slip free conveying (even if the belt / conveyor is polluted with fat, moisture, dough or flour). 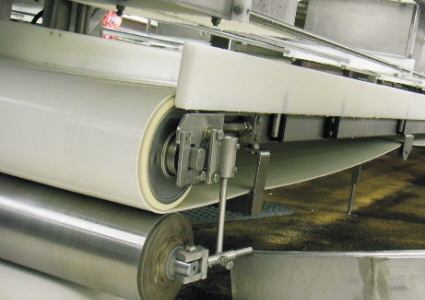 UC5300: This belt offers excellent chemical resistance. Often used in combination with vacuum to keep a product in place. 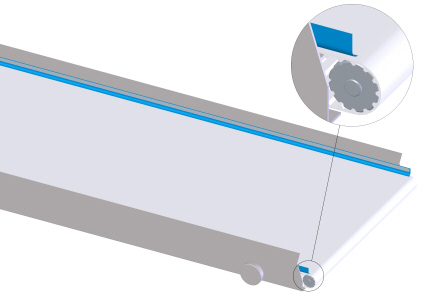 This in combination with the positive drive of the belt enables the user to know exactly where the product is at all times.